This entry was posted in Comics., D.J. Versus THE WORLD., Reviews., Writing. 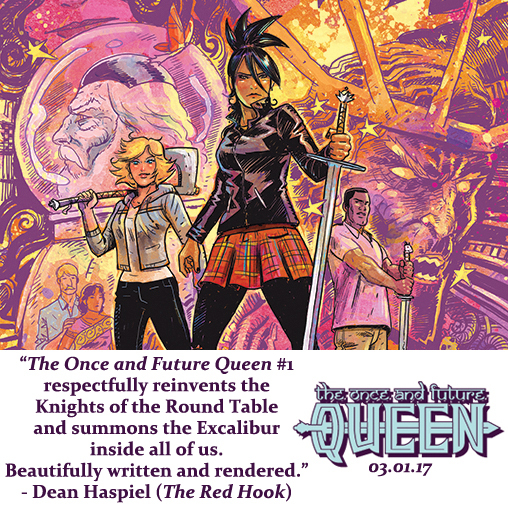 and tagged DARK HORSE COMICS, DEAN HASPIEL, excalibur, KNIGHTS OF THE ROUND TABLE, the once and future queen, THE RED HOOK by D.J.. Bookmark the permalink.